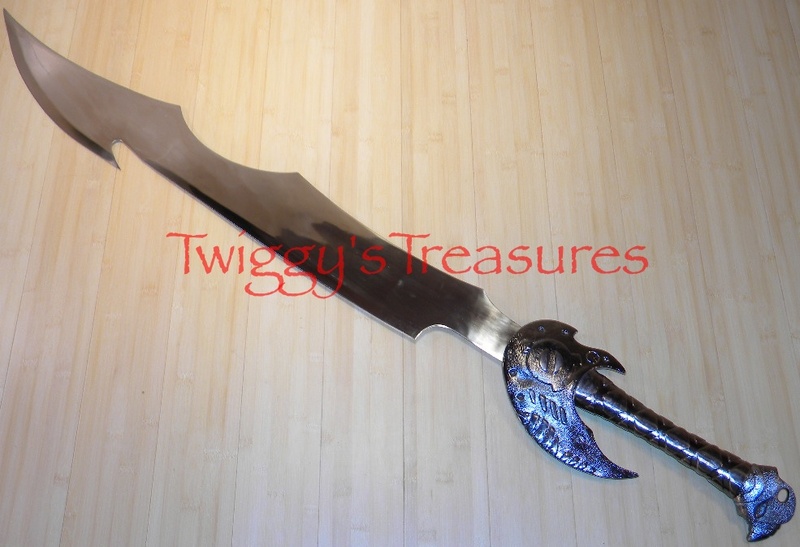 This sword is seen in the Guild Wars video games. This is a massive sword of steel. Guild Wars, also known as Guild Wars Prophecies, is a Competitive/Cooperative Online Role-Playing Game (CORPG). The game is the first in a series of stand alone games set in the Guild Wars universe, followed by Guild Wars Factions and Guild Wars Nightfall. Guild Wars is one of only a few commercially produced and distributed online role-playing games to offer play without subscription fee. "Your punishment for trespassing is death"
▪ Overall Length: 49 5/8"